Hi there everyone! First of all THANK YOU SO MUCH to all of you for participating in the Card Making Therapy blog hop, it was amazing! ¡Hola a todos! 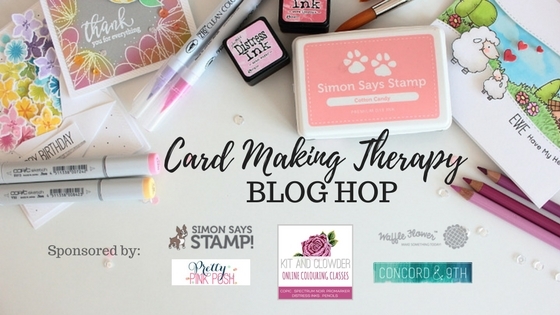 ¡Antes de nada MUCHÍSIMAS GRACIAS A TODOS por participar en el blog hop "Card Making Therapy"! ¡Ha sido increíble! Congratulations ladies! Please contact me as soon as possible to claim your prize. You can send a message to littlecraftypill at gmail.com. ¡Enhorabuena a todas! Por favor, poneros en contacto conmigo lo antes posible para reclamar vuestro premio. Podéis mandar un mensaje a littlecraftypill at gmail.com. Wow..thank you so very much, I have sent you an email and congrats to the others as well!! Congrats to all the winners! Sent you an email, so exciting.